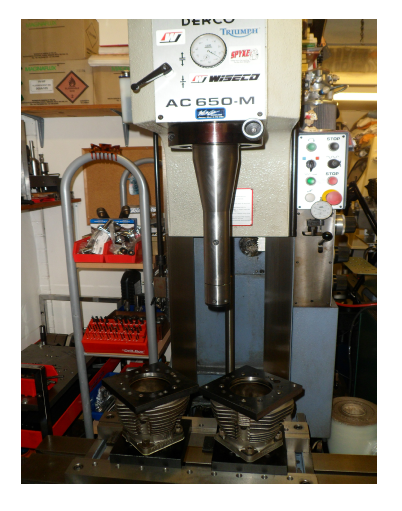 ALL Harley cylinder boring requires Torque Plates weather they are cast iron or alloy, cast iron cylinders distort around the head stud threads (see tec tips) alloy cylinders distort the cast in liner. 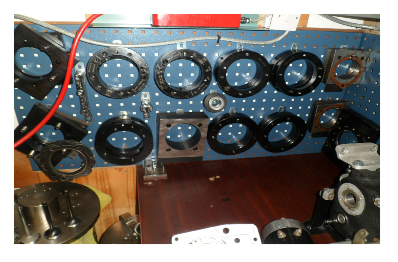 The 2 pics are examples of cylinders that were bored & honed by 2 companies that didn't use Torque plates. Both sets of cylinders had never been run, the first was a cast iron set of Shovel cylinders the second a set of S&S 4 1/8" bore alloy cylinders, both were bored here .010" over with Torque plates and you can still see the distortion, this was later removed by the finish honing process but the +.010" overbore just shows how much they were out. 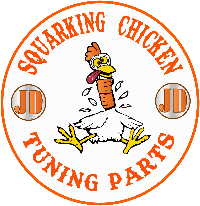 We have a massive range of Torque plates to cover all jobs + we carry over 350 pistons and ring sets in stock more than any other UK Harley shop.